In a context of emptiness, 10,000 people are housed in 600,000sqm of residential development. The River Heights Residences, approaching the size of New York City’s Rockefeller Center, are located in an undeveloped suburban plot on the outskirts of Taiyuan, China. The project is an assemblage of mini-towers that promotes urban living and achieves a ‘metropolitan’ presence in a tabula rasa environment. By privileging collective form over the individual tower, the River Heights Residences express a unified and articulated skyline of mini-towers. This unique form facilitates higher living standards and a higher density than neighboring projects. A bundle of mini-towers is in fact one building that has been sliced into portions, shifted in both plan and elevation, and then topped with roof gardens. The amount of each mini-tower’s offset is finely tuned to achieve maximum cross ventilation and natural light without reducing density. The resulting silhouette of River Heights materializes like the self-organizing form of a city’s skyline. 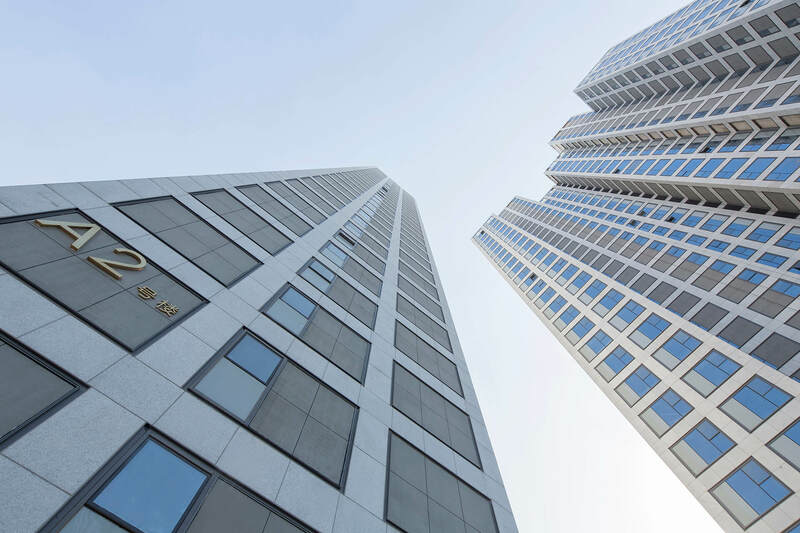 Residential developments comprise of 70% percent of all new building construction in China, but new apartments still remain unaffordable for most individuals. 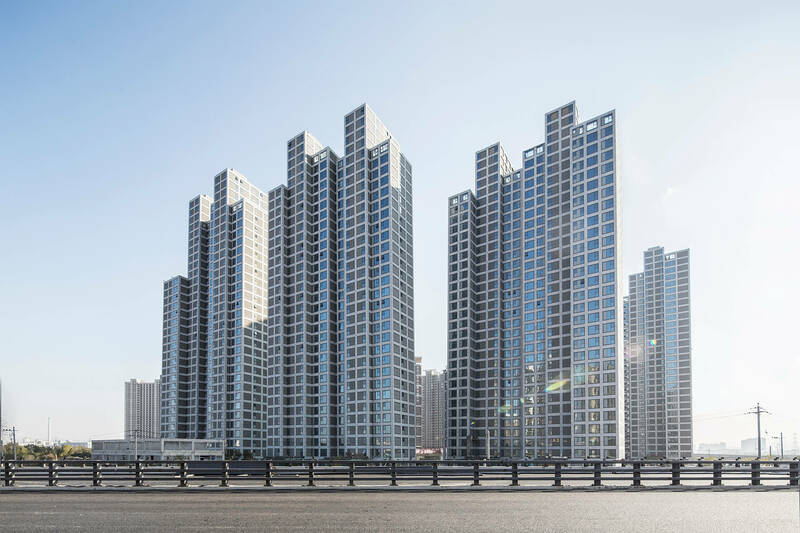 While the River Heights Residences resemble high-end developments, apartments at the sold-out complex are priced below the average cost of housing in Taiyuan. Affordability is due in part to density and the elimination of decorative frills. Importantly, small 3-4 bedroom apartments that pack as much function into as small an area possible comprise the bulk of units at River Heights. Residential towers are notorious for their poor design quality. In China, such developments often use architectural tropes or unnecessary adornments to represent value instead of considering the value of simplified design. Through repetition and highly controlled façades, River Heights emphasizes sameness rather than the imitation of difference. Ornament at the residences is restricted to a relentless grid that organizes glazing, balconies and A/C units into a unified whole, further exaggerating the play on scale. The appearance of unity is most effective on ground level where buildings recede to the background, highlighting the surrounding open green spaces and sunken plazas. The River Heights Residences show that dense urban living is practical and even desirable as a new suburban development.